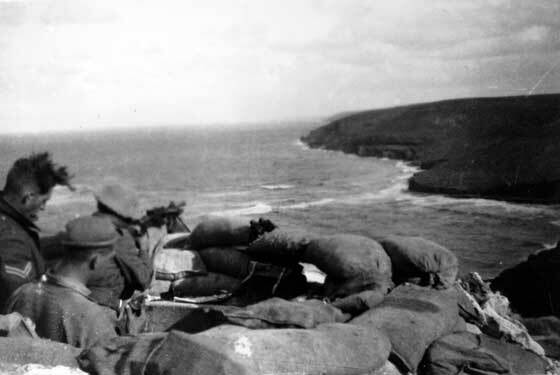 Machine gun post of the 2nd Battalion, King's Own Royal Regiment, overlooking the Mediterranean Sea on the Tobruk perimeter, late 1941. 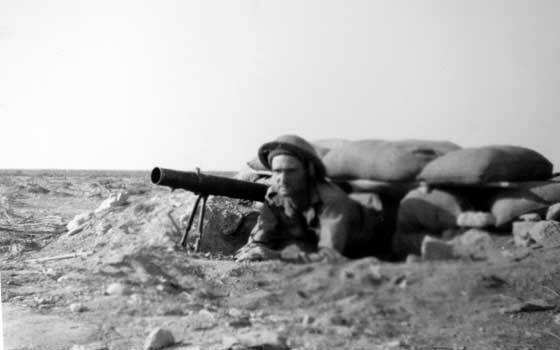 Lewis Gun post of the 2nd Battalion, King's Own Royal Regiment, on the Tobruk perimeter, late 1941. 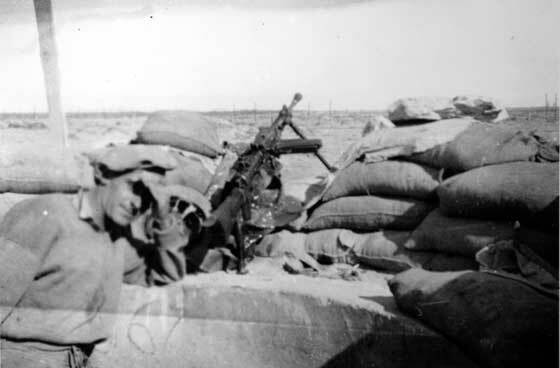 Vickers machine gun post on the Tobruk perimeter, late 1941. 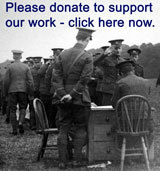 2nd Battalion, King's Own Royal Regiment. 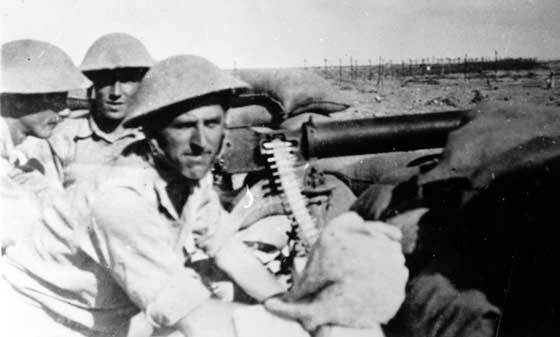 Captured Italian machine gun used by the 2nd Battalion, King's Own Royal Regiment, on the Tobruk perimeter, late 1941.